LPAC—What Wall Street would like to call the "emerging markets currency crisis" intensified today and is headed for contagion into the huge global corporate debt bubble; serious trouble is directly ahead. And the nation in the worst crisis, Argentina, is the nation whose government, over the past two years, has carried out the free trade policies of London and Wall Street religiously, sending its economy into hyperflationary collapse. A global debt crash is looming. 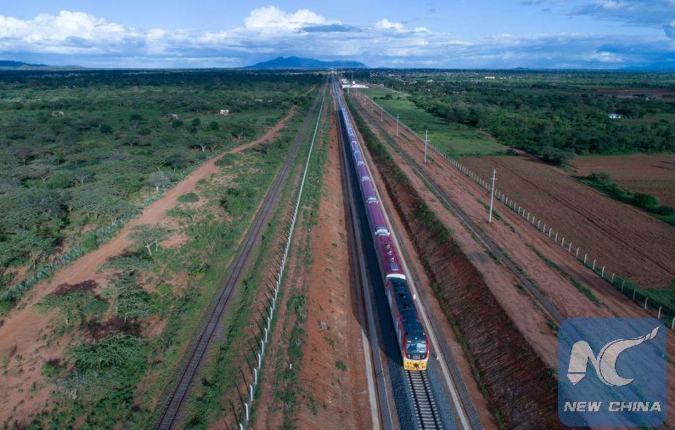 At the same time, with agreements of the Sept. 3-4 China-Africa conference in Beijing, China’s Belt and Road Initiative (BRI) has become clearly unstoppable. Even as countries in Ibero-America continued in recent days to join the development paradigm of the Belt and Road as a "world land-bridge" of infrastructure, China and Africa merged the BRI with the continent’s most ambitious long-range industrial development and poverty-reduction goals, those of the African Union’s "Agenda 2063." Optimism for Africa’s future "China-like" development was radiating from the 52 heads of state — all but a few on the entire continent — who participated. And as Schiller Institute President Helga Zepp-LaRouche said today, "history will see this conference as the official end of 500 years of colonialism," and 50 years of IMF anti-progress conditionalities. "Africa will be a world economic powerhouse by 2063." Already, poverty, Africa’s changeless burden through the colonial centuries, has been reduced by 10% since China became the continent’s main trading partner and development investor. If one still believes the well-known fable that "China’s Belt and Road is hitting roadblocks," one probably also believes that London and Wall Street have the so-called "currency crisis" under control. They don’t, as many economists and even one JP Morgan analyst were warning through the media today. The choice between the two economic paradigms, between "free trade" on one hand, and credit for infrastructure, industrial progress and technological breakthroughs on the other, is clear. Trump Administration officials want to compete with China in fostering industrial development in Africa, Asia, and Ibero-America, by a new USAID Development Bank capitalized with $60 billion, under a new "BUILD Act" the White House has been pushing through Congress. This will not "compete" effectively with the Belt and Road, now the world landbridge, in either infrastructure development, new scientific and technological breakthroughs, or reduction of poverty. How much better would it be, to use such initiatives to cooperate with China on the entire new paradigm! Cooperation could begin with spectacular effect in Central America and Mexico, as well as in Africa, as Texas Congressional candidate Kesha Rogers has proposed. Rogers, running against Rep. Al "the impeacher" Green, is also confronting an African-American constituency with the great optimism of African leaders who are working with China. The United States can’t "compete" with the Belt and Road; but it can cooperate with it, and help take it to a higher level. That is why the Schiller Institute is mobilizing an international petition, for four crucial powers — the United States, China, Russia, and India — to form a new international credit system on the model of the 1945-65 Bretton Woods system of President Franklin Roosevelt. Restore its features — Glass-Steagall bank separation, stable currency exchange rates, capital controls, and above all replacing unrestricted global speculation with credit for infrastructure development and capital goods investment — and the looming financial crisis can be stopped. Rapid economic development like that of the 1945-65 period could take off instead.